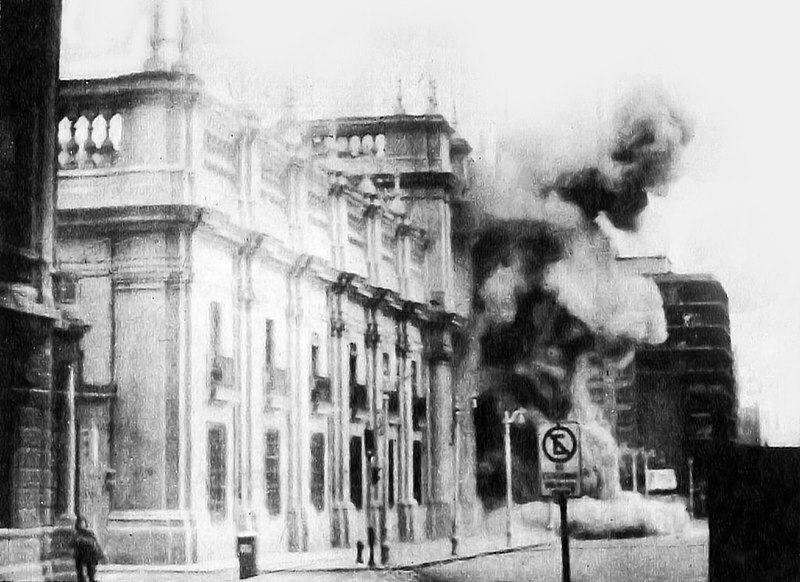 Salvador Allende’s presidential palace burning. It has been four decades since Chile’s Salvador Allende, a socialist, was overthrown in a military coup whose violence shocked the world and ushered in sixteen and a half years of dictatorship. Chile had been one of Latin America’s oldest democracies, and while there had been several failed coup plots during the second half of the 20th century, the country had enjoyed an orderly succession of elected presidents since 1946. Allende and his supporters might have believed that any attempt at a military takeover would spark such widespread protests and resistance that the armed forces would be forced to retreat. But Chileans did not turn out en masse to support the beleaguered Allende government, and the sight of the presidential palace in flames became one of the most enduring images of that period. Firefighters arriving on the scene were later photographed carrying Allende’s body out of the building. And there is the jarring photograph of a seated General Augusto Pinochet, arms crossed and wearing dark glasses, as seen on the cover of Soldiers in a Narrow Land. Pinochet had become army commander only three weeks earlier and was the last of the four military junta members to join the uprising. But in less than a year he would maneuver his way from junta member to Supreme Leader of the Nation, with the help of a feared secret police agency that answered only to him. His victims included not just leftists and political dissidents but Chileans who had opposed the Allende government as well. There are no public monuments to Pinochet, whose ashes are hidden away in a chapel on an estate his family owns outside of Santiago. A small museum housed in a foundation which bears his name contains his uniform and medals and a desk he once used. But there are dozens of memorials to those killed during the Pinochet regime, including a large monument in Santiago’s Cementerio General bearing the names of his victims. A former detention and torture center, Villa Grimaldi, has been turned into a peace park and cultural center. And early in 2010 a museum dedicated to human rights, the Museo de la Memoria opened in Santiago. While a significant minority of Chileans still respect Pinochet and feel the coup was justified, their numbers have diminished over the years A poll by a Chilean think tank, CERC, revealed that 16 percent of respondents believe the military were right to launch the coup, down from 36 percent in 2003. Mary Helen Spooner is a journalist who began working in Latin America in 1977, including nine years as a foreign correspondent in Chile. She has reported for ABC News, The Economist, The Financial Times of London, and Newsweek. 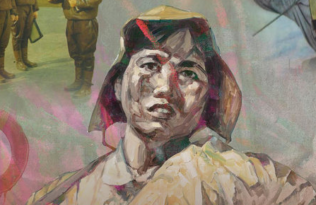 She is the author of Soldiers in a Narrow Land: The Pinochet Regime in Chile, Updated Edition and The General’s Slow Retreat: Chile after Pinochet (UC Press).